What is the most important part of a story? If you said “the characters” then congratulations—you’re right! At the heart of every story, in every medium (a book, movie, tv series, a game, or anything else with a story), are the characters. The characters are how we identify the story, how we interact with it, and most importantly the characters DRIVE the story. In fact, I am of the school of thought that the CHARACTERS ARE THE STORY. But writing GOOD characters can be a little tricky. It’s easy to fall into stereotypes or two-dimensional nobodies. Here’s a question to think about: what DEFINES your character? What makes him/her who he/she is? If you said “he has a badass sword” or “she is the princess of a kingdom” or “he’s quirky and sooo random omg” then you’re doing it wrong. The most important element of a character is what he or she WANTS. Let me repeat that, because it’s going to the the central thesis for this article: the defining element of a character is what he or she wants. In other words, a character’s motivation makes the character. Once you know what motivates your character, and incorporate it into his or her dialogue and action, it will not only create a more emphatic character—building a strong bond with your audience—but it will pull your entire story into a tight and cohesive character-driven narrative. I’m a huge Broadway nerd—I loooove musicals. And within the world of musicals, there is a particular kind of song known as the “I Want Song”. In nearly every (good) musical, the protagonist (and often the antagonist and other major characters) will have a song devoted to the expression of their desires. It usually comes in somewhat early—maybe even the character’s first big number. Because this song will define the character for the audience—the audience will know immediately that this is what the characters WANTS, and how it will influence the character’s actions throughout the rest of the play. Often the song is reprised multiple times throughout the show, as the character’s “I Want Song” becomes the character’s leitmotif or theme song. When the melody of an “I Want Song” is juxtaposed over a scene where something is happening that goes directly against the character getting what he wants, it can be genuinely heartbreaking. This is why the music in musicals can have tremendous emotional impact. The concept isn’t restricted to musicals—while your character might not be literally singing about what he wants, the “I Want Song” needs to be present WITHIN the character at all times. This isn’t to say that the character’s motivation can’t change—in fact I would argue that the strongest character development comes from development of the character’s motivation—but if your character’s actions aren’t defined by his motivations, then your character isn’t much of a character at all. I’m going to look at two examples of great memorable characters to show how a character’s motivation becomes central to his or her identity and how the “I Want Song” should be used to build conflict and DRIVE the story. 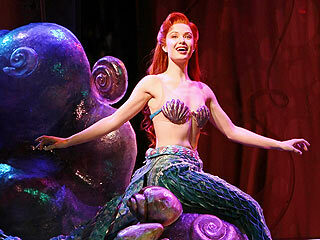 The Little Mermaid is a classic Disney musical. I’m more familiar with the Broadway version—which has a lot more depth than the animated movie (particularly it gives Ursula and Eric a lot more depth so they’re fleshed-out characters (with “I Want Songs” of their own) rather than vessels for moving the story along). Whichever version you’re familiar with, though, you’ve probably heard Ariel’s “Part of Your World” (here’s a Youtube—go ahead, watch it). It’s clear that her strongest desire is to be a part of the human world (the most repeated phrase in the song is “I want”). She’s absolutely fascinated by human culture, collecting discarded objects and paintings from shipwrecks and wondering what kind of civilization could create such magical artifacts. This fascination drives the main conflict of the story—she makes a deal with the devil (in this case her aunt, the witch Ursula) where she gives up her voice in order to have human legs. Now what really gets me is how Ariel’s song is used as a metaphor for the overall theme of the story—becoming human is a metaphor for growing up. Ariel is a girl who is on the verge of becoming a young woman, and that thematic element of her motivation creates a strong link to the audience. We can totally empathize with her, and that creates an emotional core to the entire story. The next character isn’t from a musical, but his “I Want Song” rings loud and clear in everything that he does. Everybody knows what Gollum wants. 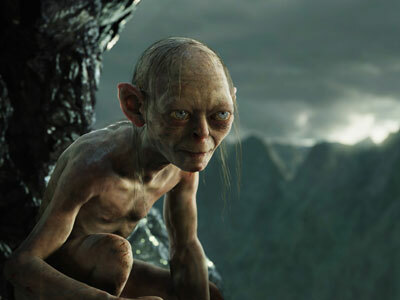 Even if you’ve never seen or read Lord of the Rings, you’re familiar with his catchphrase: “My precioussss.” Gollum wants the One Ring, and it motivates everything that he does. Honestly I don’t even need to say much more than that—once I’ve brought it to your attention, it’s so obvious that he is the perfect example for the power of a character’s motivation driving a story. He’s undoubtedly an antagonistic force—his desire for the One Ring is in direct conflict with the protagonist’s goal of destroying it. But at the same time, his motivation is so REAL that he evokes sympathy. The final shot of Gollum in The Return of the King is beautiful. As he falls into the volcano to his death, he has a look of pure joy on his face: even though he’s dying, he gets what he wanted all along. And in his very final action as he is consumed by the lava, he reaches again for his ring. It’s worth noting that while Gollum is defined by his obsession with the ring, it doesn’t prevent him from being a fully fleshed-out character. His motivation is direct, even shallow. But over the course of the movies (books), he becomes an incredibly deep character. In the time he spends with the hobbit protagonists, it’s clear that he develops some level of affection for Frodo. These feelings go directly against his defining motivation: it creates conflict. One of the most iconic scenes from the trilogy occurs where Gollum attempts to work through this conflict. When Gollum argues with his own reflection in bizarre and unsettling internal/external monologue, his defining motivation is threatened but wins out in the end.